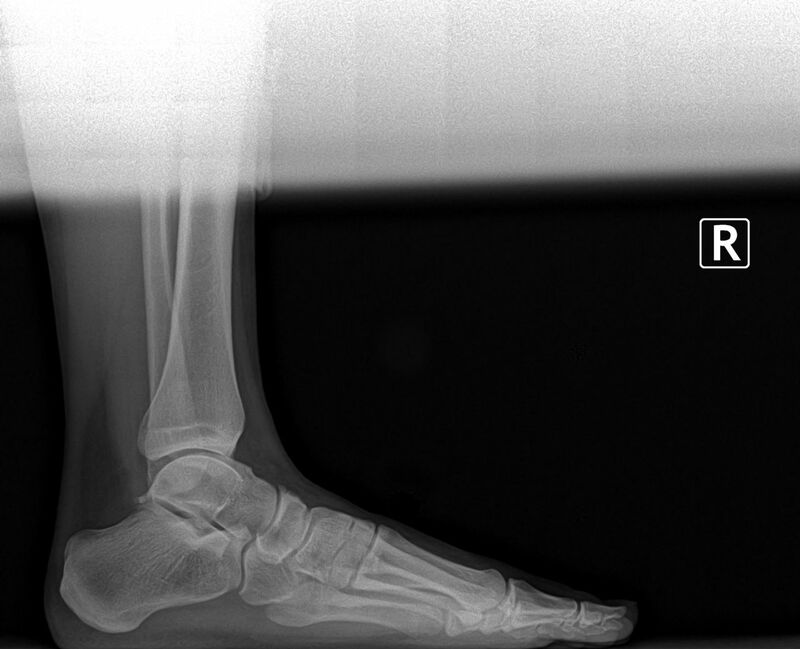 On the xray one can appreciate the large prominent posterior process of the calcaneaus or heel bone. This is a source of constant mechanical irritation of the achilles tendon as it inserts. Below one can see how the bone was removed and now the achilles tendon will not be irritated in the normal ambulatory cycle. The achilles tendon required partial detachment then was reattached with bone anchors. We see quite a few patients with achilles tendonitis, most do not require surgery. Or treatment protocols for tendonitis have been well established and time tested. If our patients do require surgery we are often able to preform it in our surgery center saving a costly and timely trip to the hospital.